PRP Therapy is sometimes referred to as regenerative therapy. It is an amazing, cutting-edge, non-surgical alternative, with amazing patient outcomes. PRP Therapy uses your own plasma to heal pain, not just mask or temporarily block it. Athletes and active people can benefit from stimulated healing using PRP Therapy. PRP Therapy utilizes platelets taken from the patient’s own blood to rebuild a damaged tendon or cartilage. PRP Therapy can play a key role in the healing of soft tissue and eliminate pain in a non-invasive way. PRP Therapy actually heals your body, rather than masking your pain and covering it up. PRP Therapy is the first medical way to stimulate healing pain available! 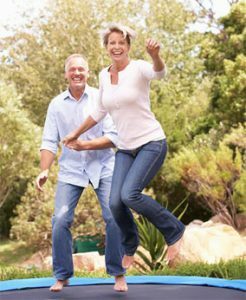 The majority of PRP patients find that recovery is fast and they are back to their normal activities quickly! Dr. Avi Bhandary strongly believes that no one should have to live in pain. Dr. Avi Bhandary will take the time to educate patients about their conditions and their available treatment options so they can make the best decisions about their care. Each patient will receive individualized treatment based on their specific needs to ensure the best possible outcome.